This is such an easy and yummy snack to make, that even small kids could help. 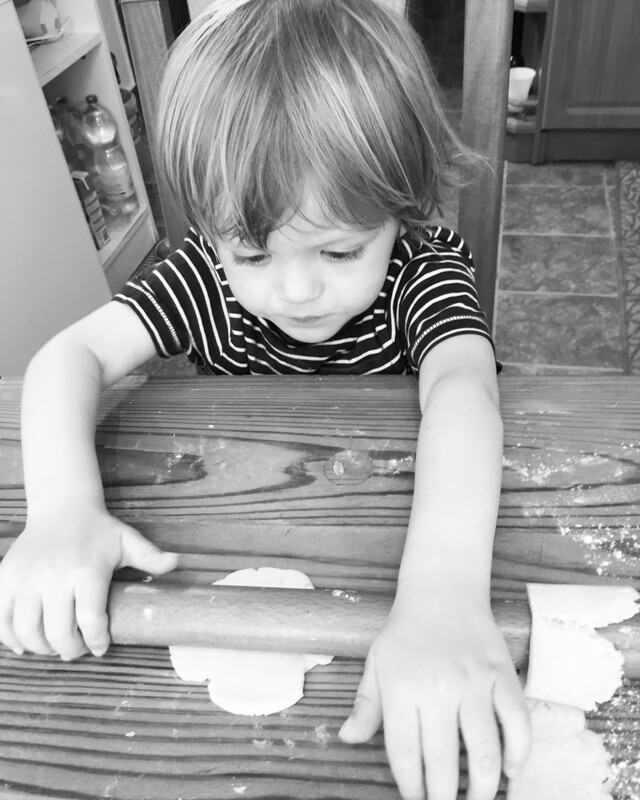 Bobcat loved being in charge of the rolling-pin and sprinkling the sesame seed. All over the place. And eating raw dough of course. (Who did not like that as a kid. Or even as a grown up.) These cheesy bites are great for parties, for the lunchbox, or as an afternoon snack. The resting seems long, but it’s absolutely necessary. They freeze well (whilst still raw), so it worth to make an extra portion for unexpected guests, or for a busy day and double the measurements. They go quickly anyway! Sift the flour into a mixing bowl. Cube the butter and with your hands, rub it into the flour. Warm the milk A little bit and add it to the mixing bowl along with the sugar, the yeast and the salt. Mix the eggs with the sour cream and add the mixture to the bowl. Knead a neat dough ball, combining everything well, cover it and put in the fridge to rest for an hour. Cover a baking tray with baking paper and preheat oven to 200C. Sprinkle some flour on a wooden board before rolling out the dough, to 1,5-2 cm thickness. 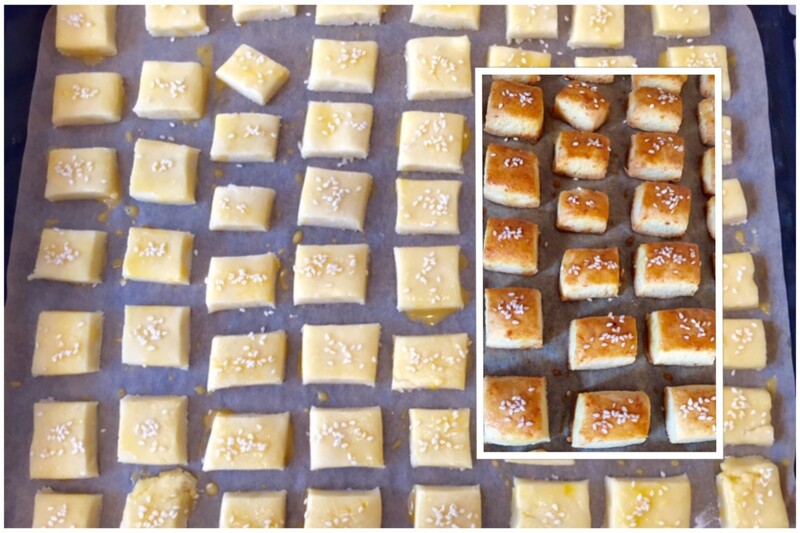 Cut about 3×3 cm little squares, place them on the baking sheet, brush them with the egg yolk (into which you can add half a teaspoon of sweet ground paprika for a bit of an extra colour) and sprinkle with sesame seed. Bake them for 20-35 minutes. These sound awesome and very moreish. Butter and cheese are like my two favourite things, ha! 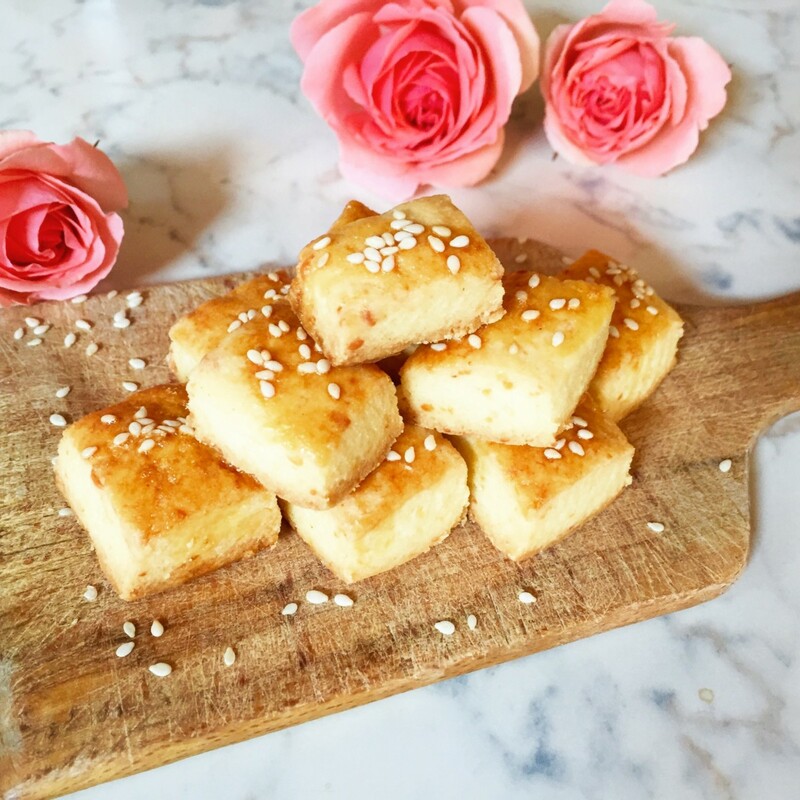 These sound delicious and perfect for little ones too! Oooooooooo these look really yummy, i need to do more cooking with my little so will gives these a whirl ! wow! As Bing would say they look yummy delicious and oh so cheesy!